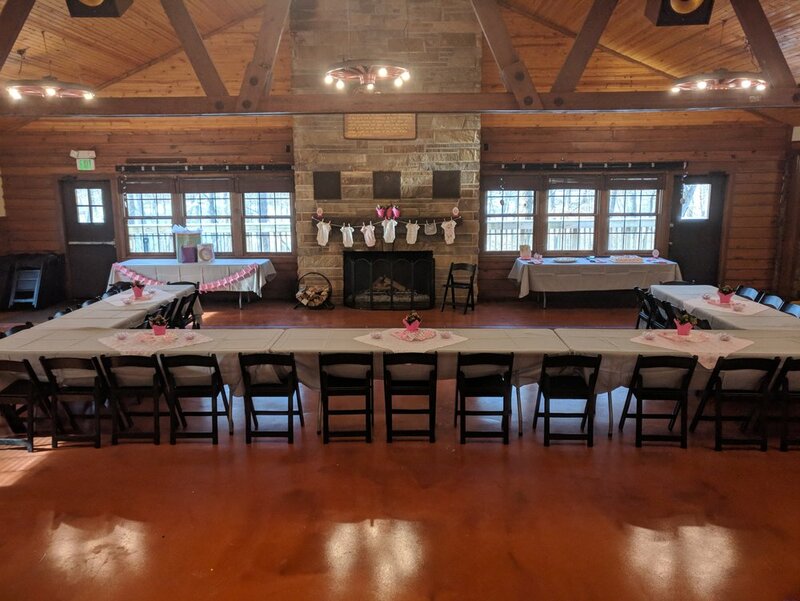 With plenty of space both indoors and outdoors, the Izaak Walton Lodge is a great place to host weddings, parties, family reunions, receptions or other events that require plenty of space for seating, dancing, bands or DJ’s. 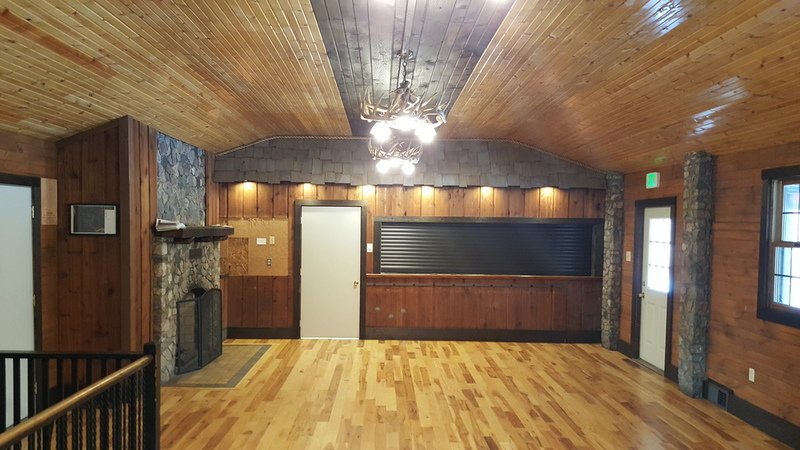 The beautifully restored early 20th century rustic lodge is perfect for any event that desires a touch of nature. Thousands of hours were spent tirelessly by a small army of volunteers to transform the space a wonderful space for your next event. 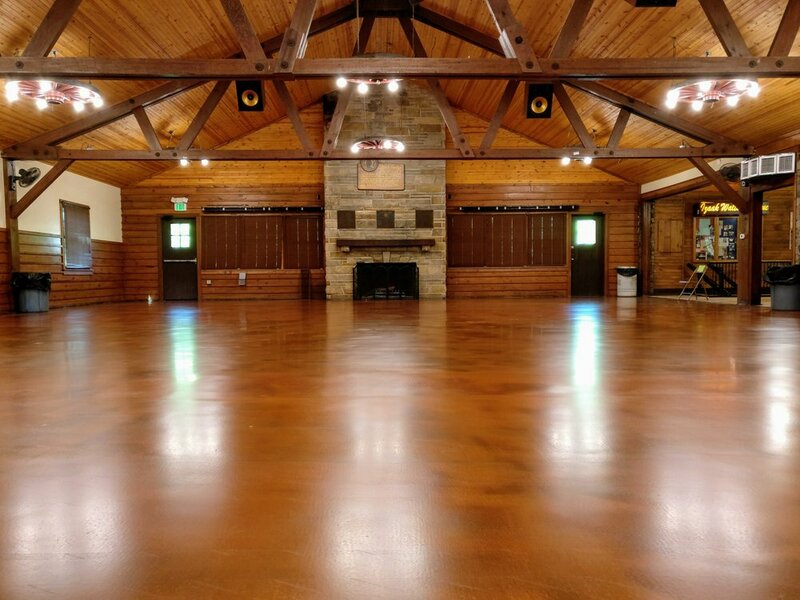 Newly renovated floors, new chairs, outdoors decks, and bathrooms make this a perfect venue for your next event. 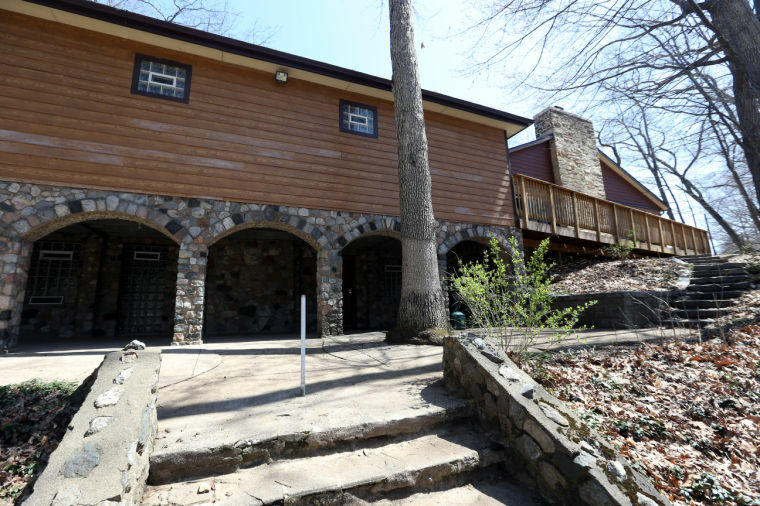 A brand new 2,800 square feet deck is perfect for onsite nuptials or to host an outdoor event. 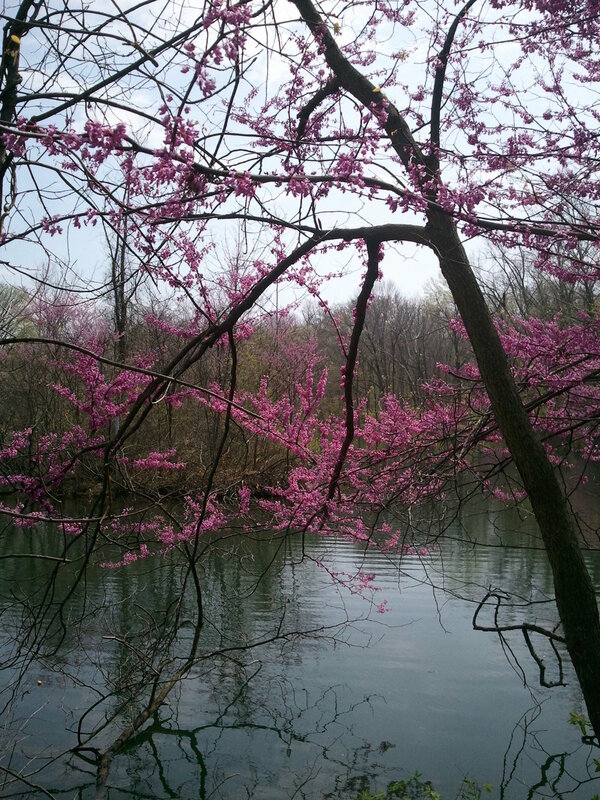 The deck has a gorgeous view of the surrounding property including Juday Creek. See the building of the deck by clicking here. 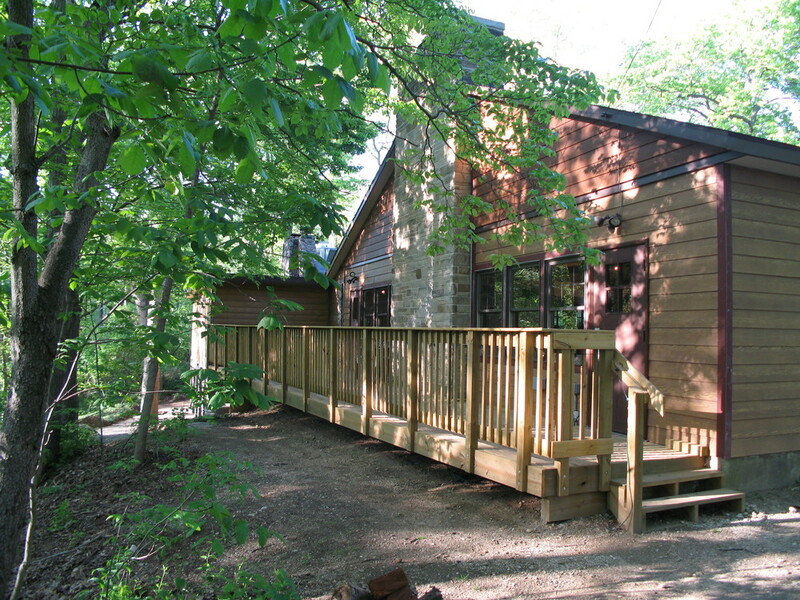 Also overlooking Juday Creek and the Izaak Walton property, the second deck on the back of the lodge allows a private area for guests to spread out, enjoy the surroundings, and have a good time! Please note that all arrangements are conducted by strictly volunteers of the Izaak Walton League. If you have other non-urgent questions, feel free to use the form below. Please note that the form is not to be used to reserve the hall. If you call using the information above it will ensure your date for your special day is promptly reserved.